In the home and by the way...: Bringing In the New Year... 2013! All of our New Year's Eve babies: 2 years, 16 months, and 14 months. With our three friend-families all gathered, there were 8 children plus 1 baby in utero. Micaiah doing a new puzzle on New Year's Day. 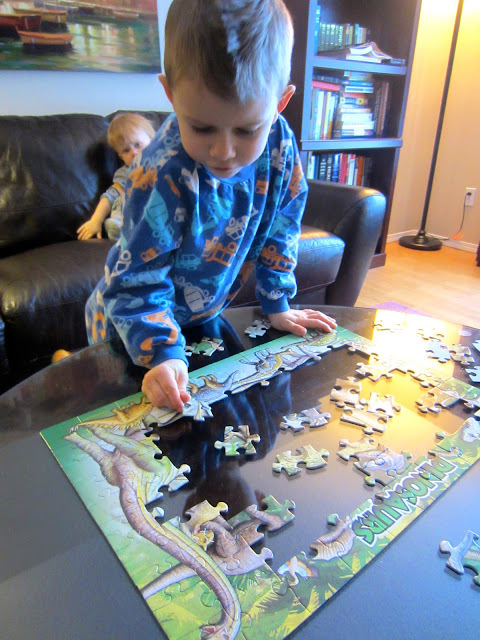 A 100-piece mass of green dinosaur puzzle. This is his 3rd time doing it, and getting faster and faster with each effort. Micaiah has been showing interest in design. He loves to build imaginative structures with lego, wooded blocks and lincoln logs. 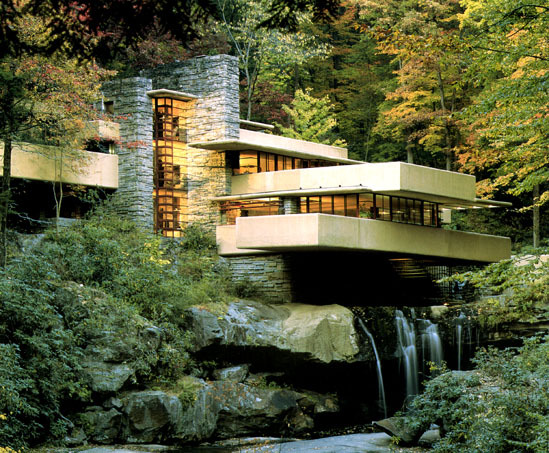 My husband recently listened to a podcast of an essay by Frank Lloyd-Wright, so on this New Year's Day, he spent some time showing Micaiah pictures on his iPad of Lloyd-Wright's most famous design: the house called Fallingwater. Later they coloured a picture of it together. I still can't get over the fact that this house was designed in the 1920's. Abishai inside a New Year's structure of his own.